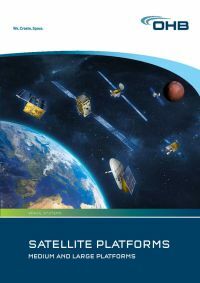 In a contract awarded by the German Federal Ministry of Economics and Technology, the German Aerospace Center is examining the feasibility of a national satellite communications mission based on the preliminary studies (Phase 0) conducted by an industrial team lead-managed by OHB-System. This will form the basis for a national project (Heinrich Hertz communications satellite (H2Sat)). The Heinrich Hertz mission aims to explore and test new communications technologies in space at a technical and scientific level in order to determine how broadband communications, for example, can result in high data rates for mobile final users. As well as this, the mission will offer universities, research institutes and industry a platform for conducting numerous scientific/technical experiments. The selection of the new German satellite SGEO will simultaneously support the goal systematically being pursued by ESA and Germany in the ARTES 11 program of building up system skills in this area in Europe and extending German capabilities in the area of satellites and telecommunications payloads. Newly developed technologies in space are still a long way from future use. Even extensive testing on the ground is no replacement for experiments in orbit over protracted periods of time. The results of such in-orbit experiments can form the scientific basis for new technologies. As satellite operators shun the additional technical risk in launching new technologies, the scientific/technical verification of new technologies in orbit is crucial for ensuring the competitiveness of many space products. Proven space flight capabilities will help to preserve and extend German skills in the production of bus and payload components. The space agency of the German Aerospace Center has awarded OHB-System as the responsible party a contract for the development and coordination of the overall mission and the satellite in Phase A. Work is being performed on behalf of the space agency of the German Aerospace Center (DLR) using funding provided by the German Federal Ministry of Economics and Technology (BMWi) pursuant to a resolution passed by the German federal parliament with the numbers 50YB 0901 and 50YB 0902. As the system manager, OHB-System AG, Bremen, together with its core partner Astrium GmbH in Ottobrunn is lead-managing a nationwide syndicate comprising Audens Telecommunications, GSOC, IABG and the DLR Institute of Communications and Navigation (IKN). Via a further contract with the space agency, TESAT Spacecom GmbH, Backnang, has been gained as a further key partner and will be responsible for working on the payload and payload technology. Scientific/technical verification of hardware and software and scientific experiments in the area of communications. Preparations/testing of pre-operational satcom services for German (public-sector) users.